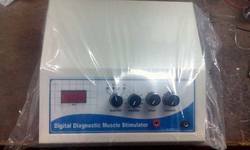 Offering you a complete choice of products which include laser therapy unit, laser therapy units, micro computerised based multifunction therapy unit, ultrasonicator, steam bath - portable and continuous passive motion device. 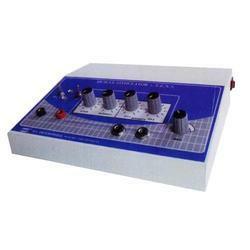 We are an acclaimed name engaged in offering our precious clients a superior quality range of Laser Therapy Unit. This therapy unit is designed by our professionals using high-grade raw material and advanced technology in compliance with the international quality standards. In addition to this, our products undergo various tests under the supervision of quality controllers to ensure its flawlessness. Moreover, our clients can avail therapy unit from us at industrial leading rates. We are one of the leading names in the market, trusted for offering Laser Therapy Units. 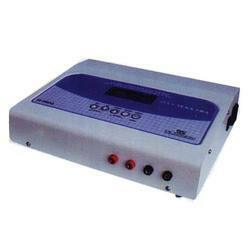 A small Ultraosnic Cleaner / Ultrasonicator / Sonicator is a great cleaning machines for household purpose as well which can ease your work of cleaning almost most of the household items which are water safe and cannot be easily cleaned with human hands. 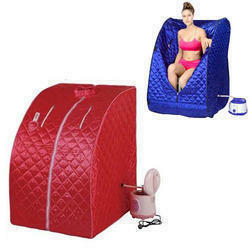 Our company has earned accolades in offering Steam Sauna Bath to the clients. Steam Sauna Bath is manufactured at modern production unit under the observation of seasoned professionals using premium quality raw material. This product is tested by quality experts on various parameters to ensure toughness at clients' end. Offered range is widely used in massage centers. This product is available in different shapes, sizes and finishes to valuable clients. Offered range is widely appreciated by clients for having remarkable and superb attributes. We are humbled to declare ourselves as the leading exporter, manufacturer and supplier of Continuous Passive Motion. The offered continuous passive motion is mostly used for the primary rehabilitation of the patients, who underwent recent surgery. 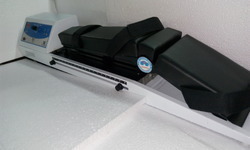 Our offered continuous passive motion allows the constant movement of the joints, in a controlled motion width. The offered device is used for healing of the damaged cartilage.